A fabulous facelift for Pyxl Knoxville! 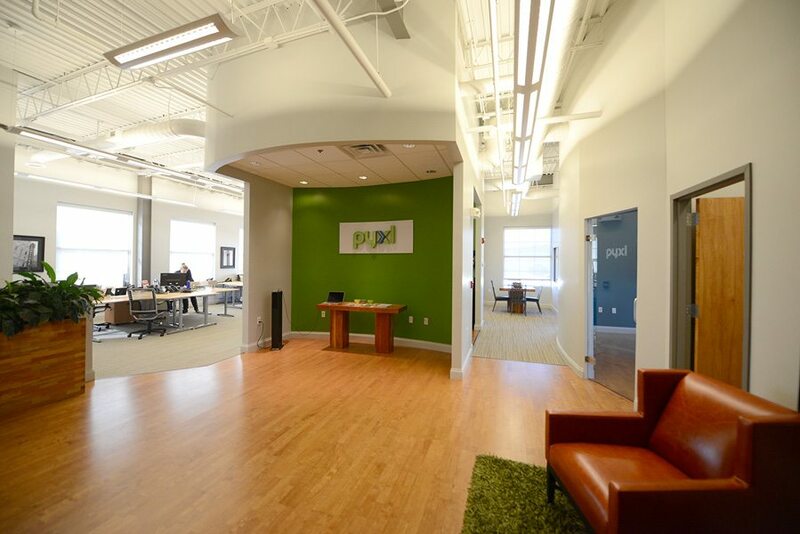 Pyxl is a trendy, design firm that already had a creative space, but needed help to modify it to meet their expansion. We demolished an office to enlarge an open area so the company could add more work stations. Once we opened up that space, the HVAC, electrical and sprinkler system needed to be revised. After reworking all of the mechanical items, we moved to cosmetic repairs. We installed a custom frosted window that can now be used as white board in a small conference room. In that same conference room, we changed a boring solid door to the wooden frosted door to maintain the modern design at Pyxl. After painting, and adding trim and new carpet squares, they had a perfectly renovated space. The finishing touch was suspending two flat screen TV’s from the ceiling and equipping them with Apple TV’s. At McCamy Construction, we’d love to help you with your commercial or residential renovation.